Want to improve your SEO? Try a website content audit. Home » SEO » Want to improve your SEO? Try a website content audit. You’re totally frustrated with your content marketing strategy. You’ve posted several new blogs and pages to your website over the past few months. You’ve really stepped up your social media game, and you’ve even done a few guest posts. But you’re just not seeing the results you hoped for. You know that you have to be patient, but isn’t there anything else you can do? The answer: Take a closer look at your content. Whether you’re a marketing guru or a savvy business owner who sells online, content marketing is probably on your mind every single day. After all, it’s a key component of SEO that, when optimized properly, will help generate traffic to your website (and lead to conversions, if you’re a business). When it comes to figuring out if your existing web content is effective or not, you should consider doing a website content audit. This way, you can look at all of your performance data and identify what content should stay, what should be improved upon, and what needs to be deleted entirely. While doing a content audit can take a lot of time and effort, there are some pretty cool tools out there that can help. One of them is the SEMRush Content Analyzer. It will enable you to measure the effectiveness of your content so that you can make improvements where needed. It’s perfect for online business owners who work on their own sites, content creators, writers, bloggers, and SEO specialists. Basically, anyone who deals with content and SEO will find it to be handy. With the SEMRush Content Analyzer, you’ll find the important metrics you need to measure the success of your content. It provides you with measurable data that you can use to determine what’s working and what’s not. You can also use this tool to do a comparison between the different content that’s on your website. Your findings can very well influence future content marketing strategies and planning. Quick note: Here’s a 30-day free trial if you’re interested in checking out the tool for yourself. The SEMRush Content Analyzer really puts the spotlight on one of the most important things website owners must keep in mind when producing content: Quality is better than quantity. Just because you’re producing more content doesn’t necessarily mean that you’ll be successful with your content marketing strategy. With the SEMRush Content Analyzer, you can determine what pages are effective and what ones aren’t, so that you know what you have to work on improving. It will show you what pieces of content are getting backlinks, shares on social media, and keyword rankings. For example, you can you can use the tool to sort your content by the lowest shares on social media or the least amount of backlinks. This will show you what isn’t getting attention on the web. Sort by word count to see what pages are a bit too short and need more text. Or, sort by content update to see what pages are old, and can use a little refresh. You can even connect the tool to your Google Analytics account to access behavior data. Once you’ve performed your audit, you can input the URLs that you want to work on into the SEMRush On Page SEO Checker, where you’ll be presented with ideas for improving your SEO strategy, technical SEO and more. The tool allows you to track which pages are at the top of your list for improvement. By setting your workflow status to “Not set,” “In progress,” or “Done,” you can easily keep things organized. You can also assign tasks that you need to do for each page, like “re-write the first paragraph” or “change the meta description”. 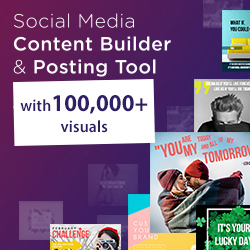 If you do a lot of collaborations with other websites such as content sharing, cross-posting, or guest posting, this tool can also measure the successes of these types of content. This makes the SEMRush Content Analyzer advantageous for anyone participating in content partnerships. 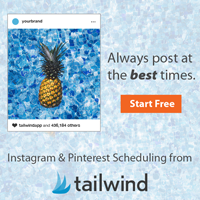 It has a “Post Tracking Tab” that will help you take a close look at your keyword rankings, backlinks, and any social shares of your guest posts and syndicated content. If you want to improve your website’s content marketing strategy, we highly recommend SEMRush Content Analyzer. It makes planning your website content with good SEO performance in mind easier and more efficient. Auditing content has always been recommended by SEO experts as one of the best ways to optimize performance. This tool is a great way to get auditing done right and see significant improvements. If you’re interested, give it a try for free and let us know what you think in the comments!